University of Roehampton, one of the shortlisted entries. 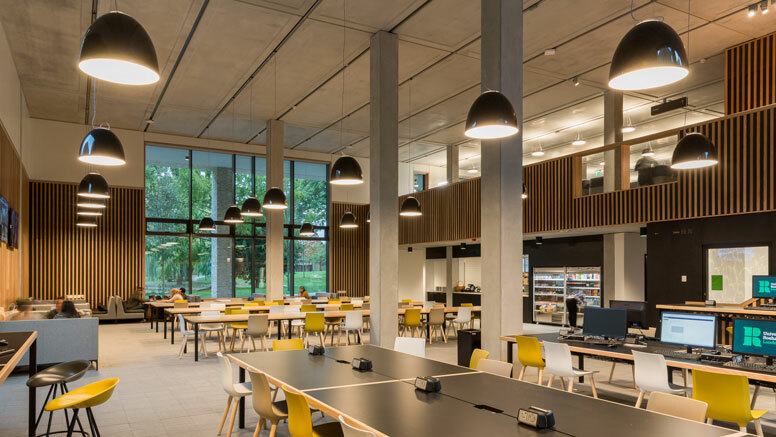 The SCONUL Library Design Awards showcase and celebrate the very best in recent academic library design in the UK and Ireland. Fifteen high calibre submissions to the awards were received and the judging panel found the decision making and short listing process hard. After careful consideration the judges are delighted to announce the following libraries have been short listed for the awards. The winners of both categories will be unveiled at the Library Design Awards event on Tuesday 26th November 2019 at the Royal Armouries Museum in Leeds. Details of the awards event will be announced in early Summer. The Design Awards shortlist on the SCONUL website. Library profiles showcased by Designing Libraries.